ROUND 3 of the Gravity LC South West Quad Enduro Championships took place at the magnificent Twin Oaks Farm, near Tiverton in Devon on Sunday 10th June in stunning summer sunshine. A.J WILLCOCK sponsored Luke Davies showed a clean set of heals in the Expert Class with a flag to flag overall win in very hot conditions, whilst in second place was Sam Jeffery and 3rd was Jack Naylor. Next up is the ever competitive Clubman class was a fantastic ride by Luke Richards who secured the win, with 2nd place going to Amy Keitch and 3rd Grace Keitch well done girls !!! The ever growing Over 40 class saw Richard Keitch take the win, with 2nd place going to Francis Radford and 3rd place to Michael Yelland. Top result guys! The mighty 4×4 heavies made the Tiverton track look easy with a magnificent win by the very popular Graham Illing, who at Round 2 stopped to help a fallen rider and got the Red Cap Racing award for rider of the meeting for his help. Well done Graham… 2nd place went to Tyrone Guy and 3rd Ryan Willetts. The 4×4 Lights took to the very dusty track with a great ride from Mark Williams in 1st. 2nd went to Adam Smart and 3rd to Nathan Ponsillo. Great riding by all 10 /10 from me. The Novice class saw Brett Troake take a brilliant win with 2nd going to Chloe Keitch and 3rd going to Dom Troake. The mighty tiny quad warriors in the 125cc Class saw Cai Evans taking the flag with a first place. In second place was Jeffery Illing with Jacob Hughes in 3rd. 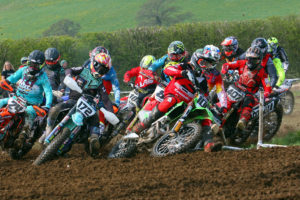 The 250cc class is always competitive with a fast and furious racing. William Tewson was the eventual winner, 2nd place was William Mead, and in 3rd place was Tom Bainbridge. There was also a international quad rider in the form of Gary Addington who has been flying the flag all over world. Good to see Gary….also my best wishes goes out to Ivor Rabbits after a big off on his 4×4 and well done Lee Barrows for helping Ivor out …..
All in all a fantastic day was had by all in the summer sunshine thanks to everyone at Gravity LC for putting on a brilliant track 10 /10 …. A special thank to joy for keeping us all topped up with tea and ice creams !!!!! If you quad gods have never raced at Gravity before you are missing a trick ……..